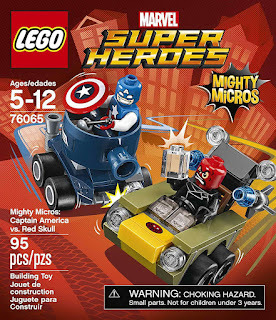 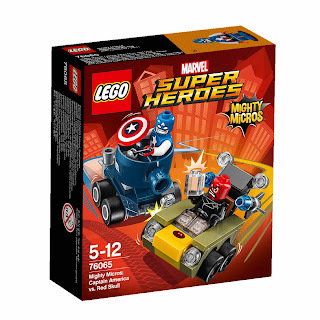 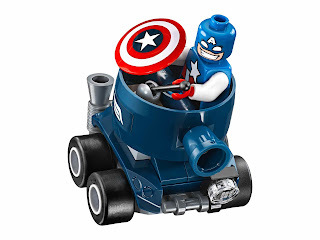 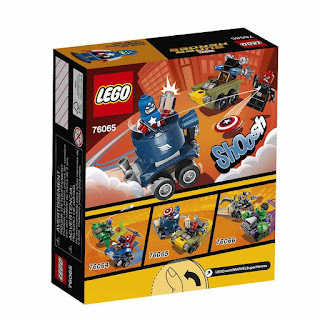 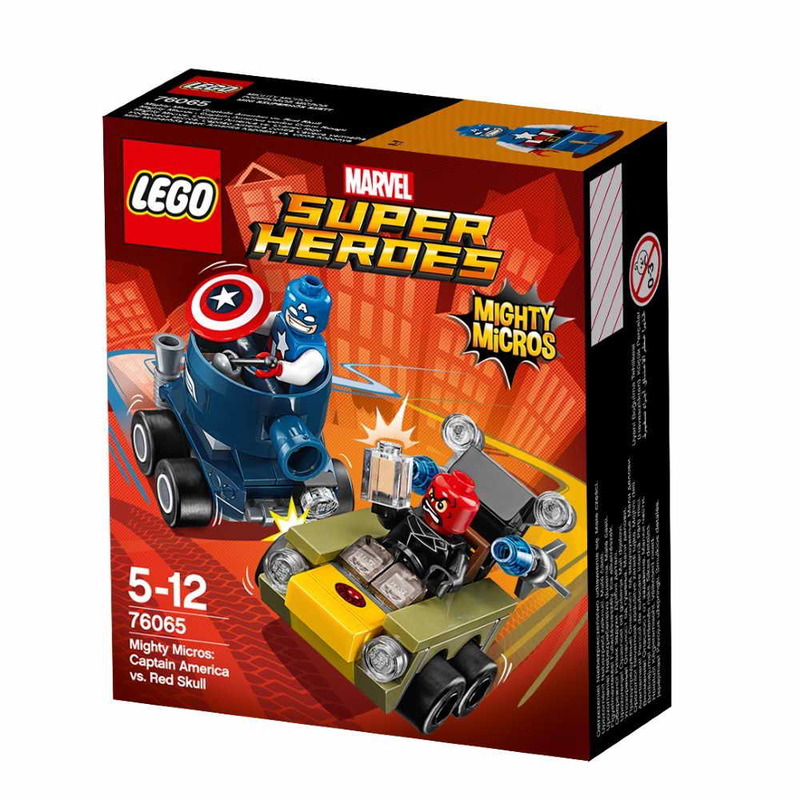 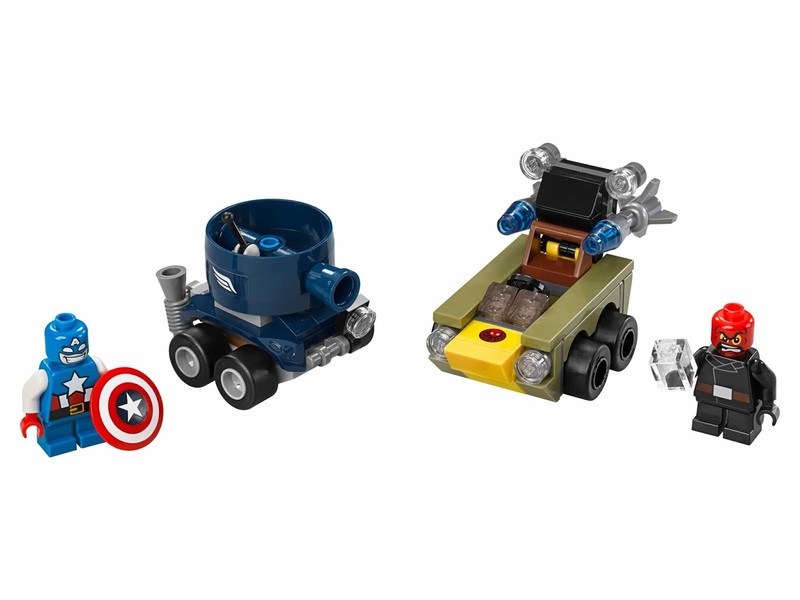 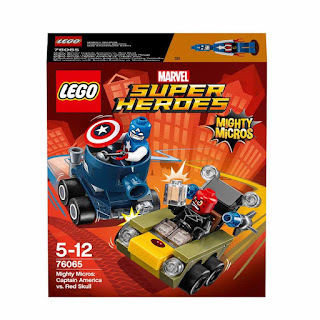 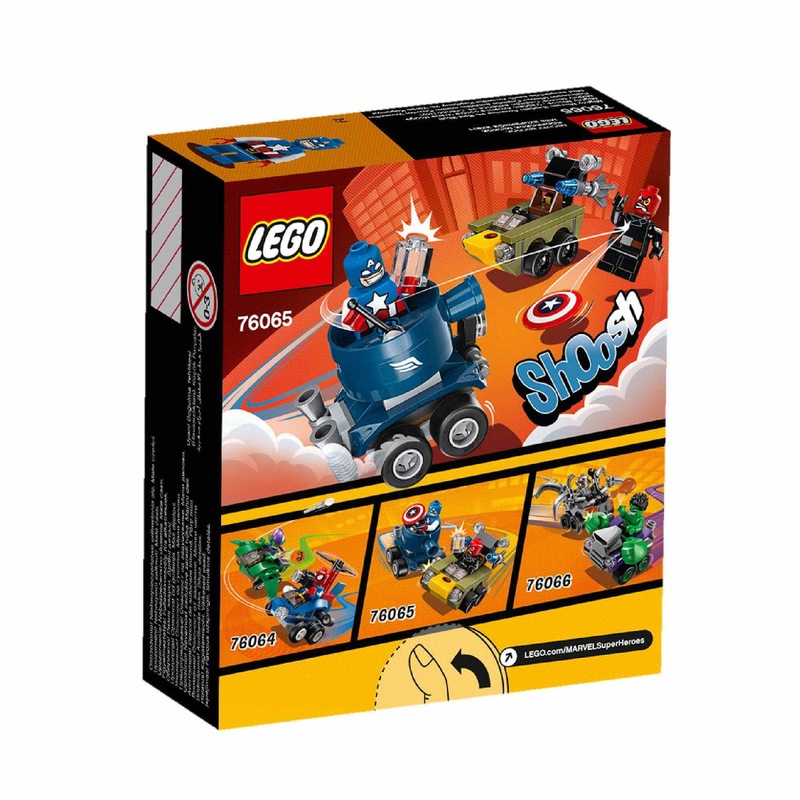 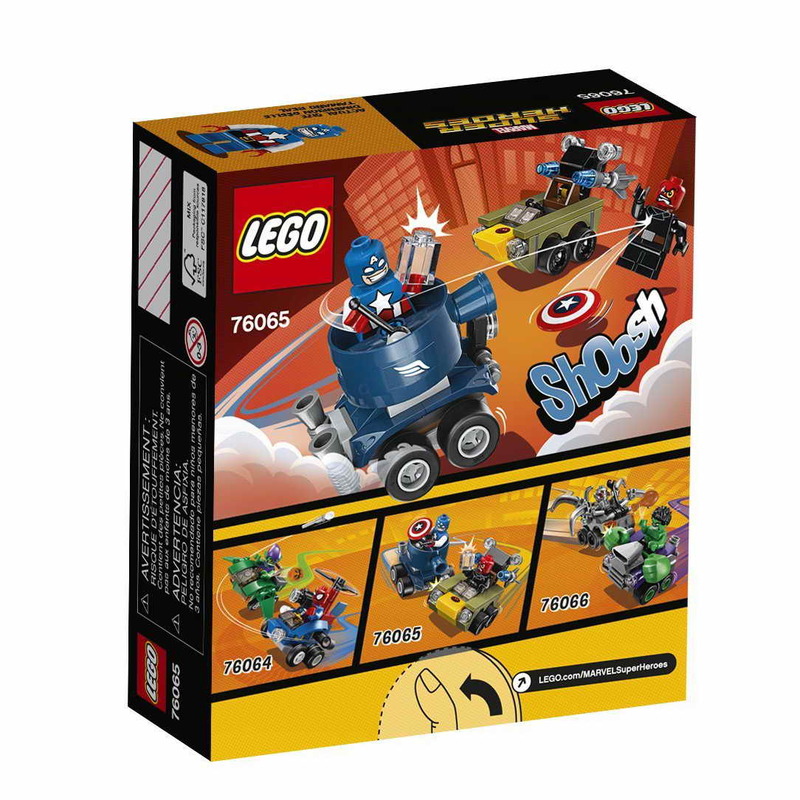 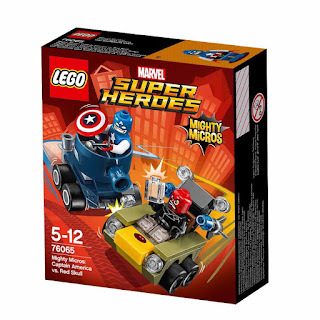 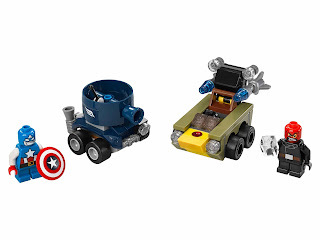 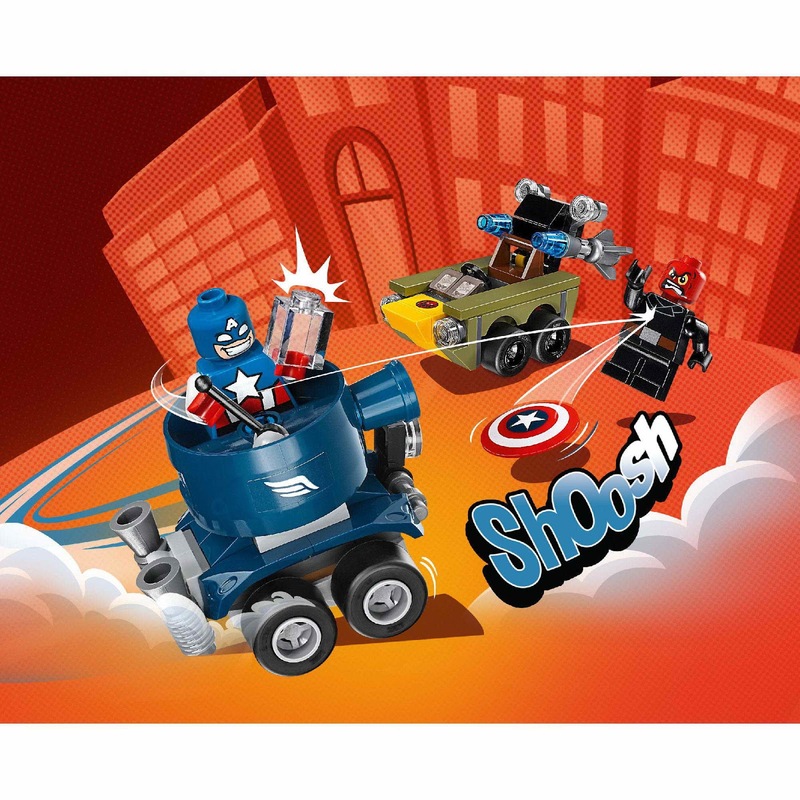 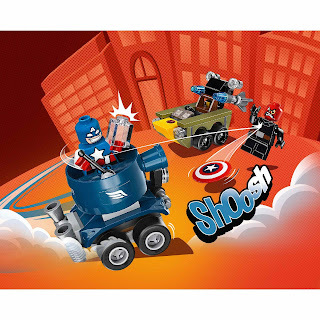 come with a captain america's mighty micros tank and a red skull's mighty micros vehicle. the tank has turnable wheels and a front cannon. 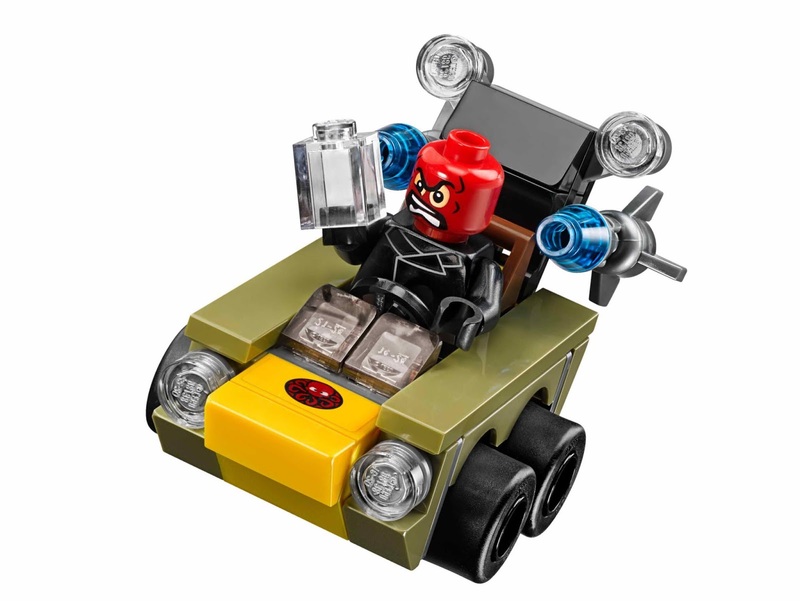 the vehicle has turnable wheels and 2 missiles. 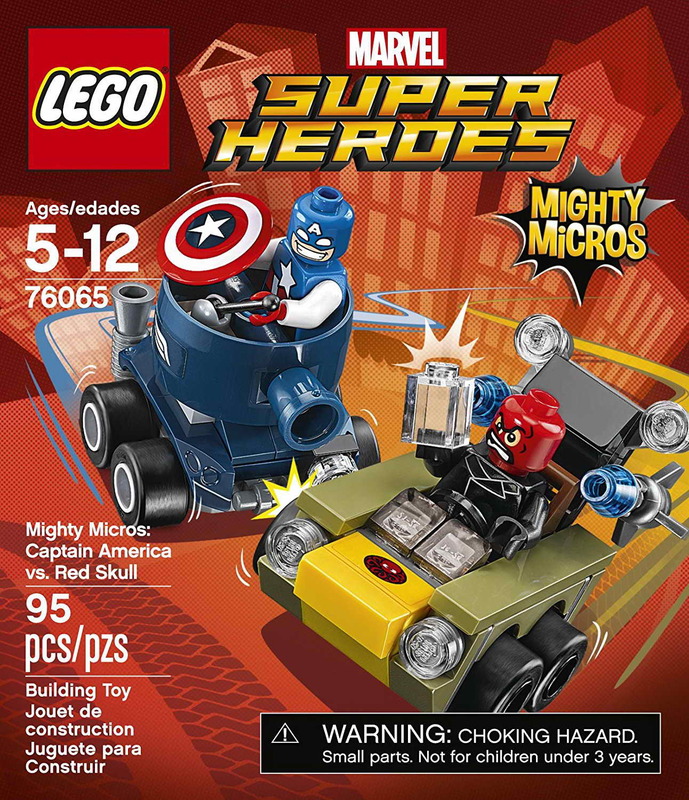 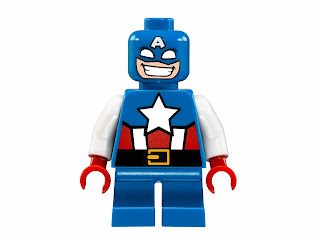 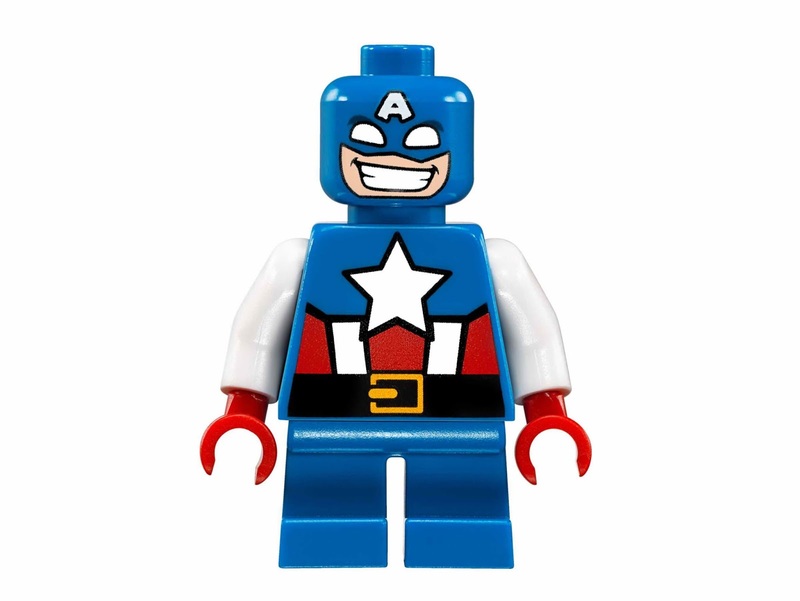 minifigs included a captain america minifig and a red skull minifig.